Blog-Heating & Cooling-How Much Does Home Air Conditioning Cost? As summer approaches and temperatures rise, we are often reminded of one of the most fundamental desires we all have, comfort. HVAC is the business of making homeowners comfortable. It’s safe to say when shopping for a replacement or new air conditioner, one should ask, how much is my comfort worth? Air conditioner prices range widely: between $5,000-$20,000. The reason the air conditioner prices cannot be narrowed to a definitive amount is that there are so many variables that affect what an AC installation will cost. It is often the biggest investment you will make in a home appliance, so it’s important to be an informed consumer. For example, Does this air conditioner unit offer energy efficiency? This relates to the SEER rating, which is its “Seasonal Energy Efficient Ratio.” Basically, this means how much cooling capacity/output is relative to the energy it takes to do its job. A SEER rating has a range as well, from 13-25, though in the State of California we are required to install a 14 or higher. The size, measured in tons, is also something that affects how much you will spend for cooling. Selecting the proper size is very important to the efficiency of a central air conditioner. If it’s too large, it will use too much energy and cost more to run than it should and conversely, if it’s too small, the AC system won’t cool your home properly. Worse, it will overburden the system, ultimately reducing its total life expectancy. This is why it’s so important to choose a company with certified technicians and a solid reputation because an improperly sized central air conditioner unit, even brand new, will cause problems right away. Homeowners should also consider the condition of the existing equipment. 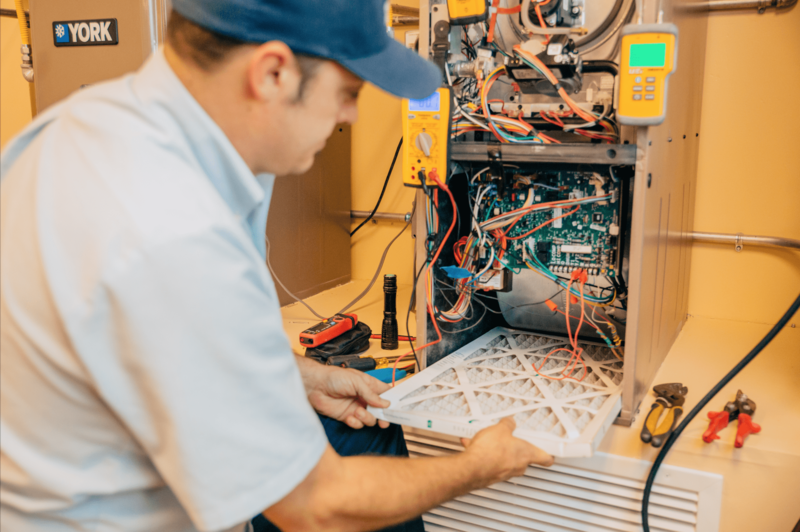 What some people don’t realize is that traditional, central air conditioners don’t work without other necessary components, one of which is your furnace. The furnace houses the blower motor, which kicks up the air through the next important aspect of the system — the duct work. 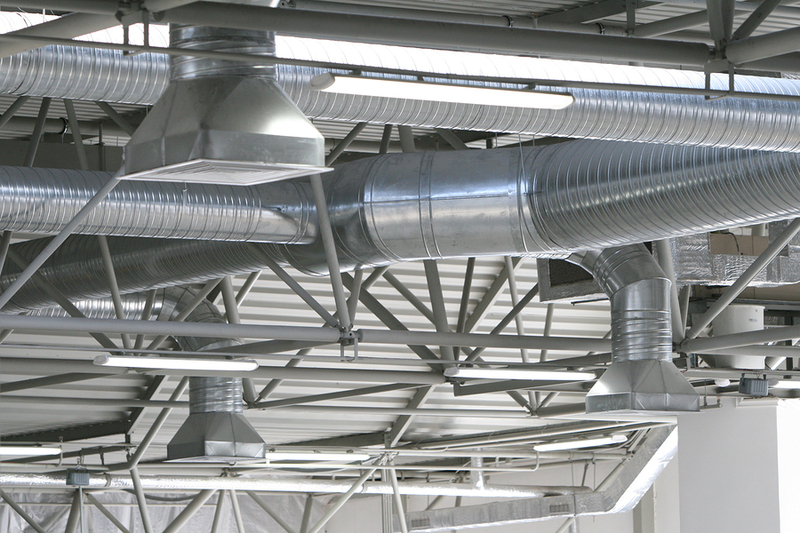 Without proper ducted air conditioning, forced air would not have a vessel to travel through. This is important to note when talking about price because it is unwise to attach a new evaporator coil and condenser to an outdated, inefficient furnace. 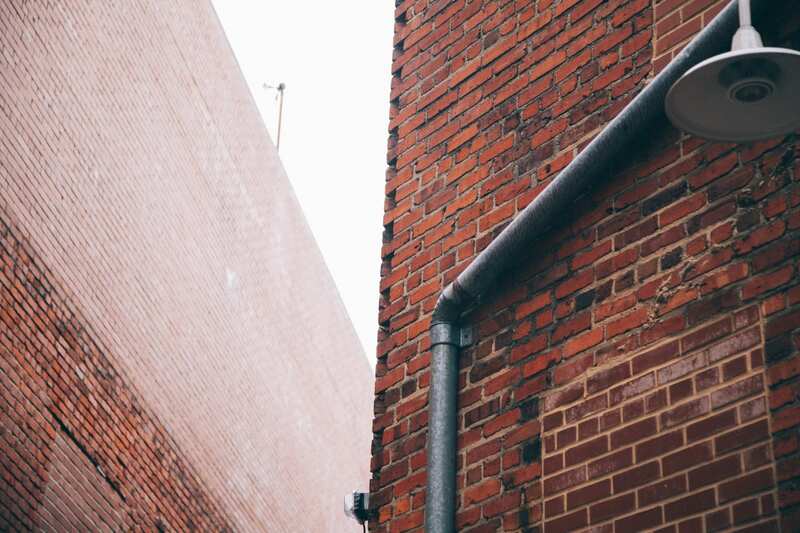 And the same goes for duct work, if a technician determines the ducts to be bent, kinked, and/or broken, he or she will also recommend replacement. Naturally, these components affect the price. If you are merely swapping out your smaller sized condenser for a new one, the air conditioning cost will be lower than if you have to replace the whole HVAC system. 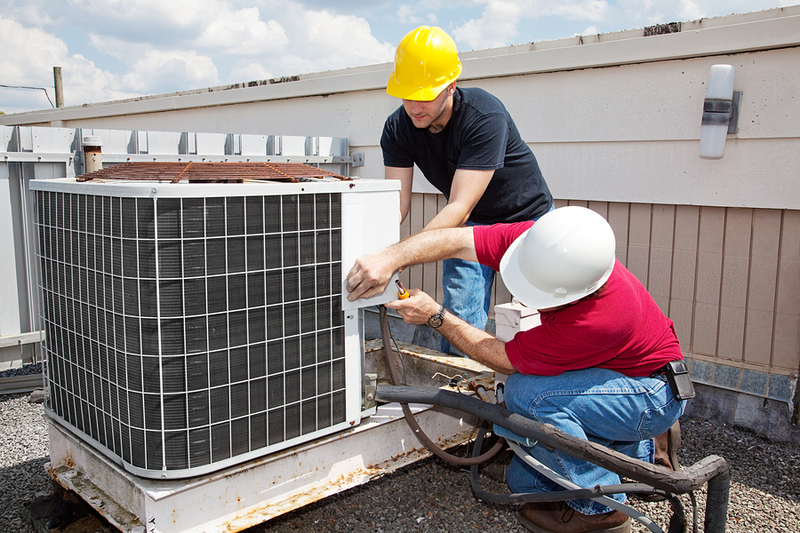 Regular maintenance is recommended by both the professional HVAC community, but also air conditioning manufacturers. In fact, manufacturers across the board will void a parts warranty (which are typically 10 years) if there is no consistent maintenance history. You are supposed to have each piece of equipment serviced once a year, so usually a furnace tune-up in the fall and AC in spring. It’s best to do this seasonally for two reasons. First, it is best to gear up the system for the approaching climate when it’s most likely to be used, like air conditioning in the summer. Second, those seasons tend to be very busy for an HVAC contractor as the technician is running so many air conditioning repair calls. Also, this reduces your chance of noticing something is wrong with the system right when you feel it’s most needed and then you have to wait for service. What Work Is Performed In an AC Maintenance? This is what you can typically expect for an air conditioning tune-up. Heating & air conditioning specialists will also perform a complete safety check to ensure your home and family are safe, as well as comfortable. 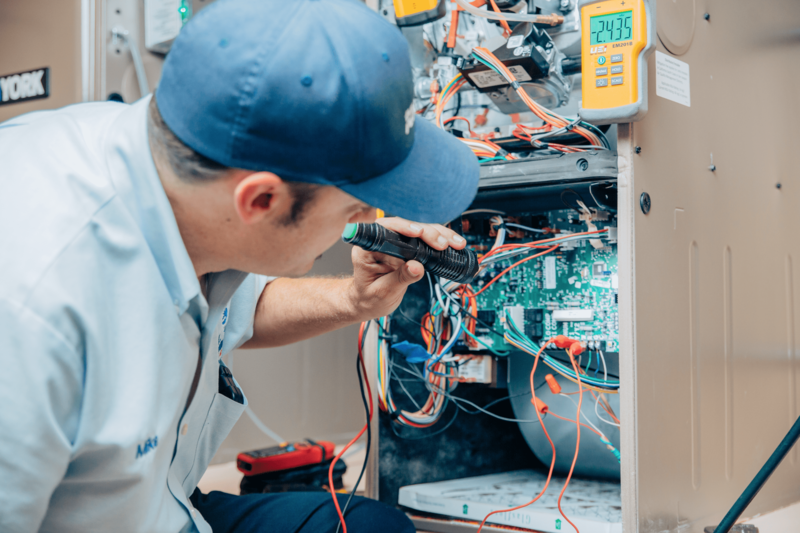 If the system is an AC Ductless System, or AC split systems, some aspects will not apply, but those need to be maintained by a certified HVAC technician once a year, preferably in the spring. The checklist should exemplify that the tasks completed are quite necessary to keep the equipment in good working condition. Sometimes homeowners believe that if they change out their filter, this act will suffice for a routine maintenance, but this is not the case! 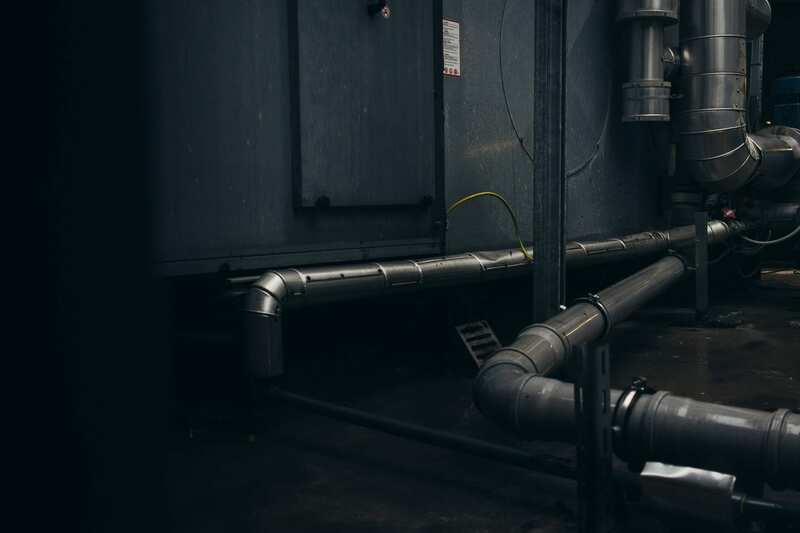 Though changing the filter is indeed imperative to the system’s operation, a tune-up is far more involved than that — there is a reason manufacturers require annual maintenance on each system. When homeowners are thinking about investing in a brand-new heating & air conditioning system, or are thinking about upgrading their old, outdated inefficient system, there are many variables that go into the overall purchase and installation cost for the new system, but also the maintenance that will be required to keep the system running far beyond its warranty period. At Bill Howe Heating & Air Conditioning, our home comfort advisors evaluate all aspects of homeowners’’ needs to determine the best products and schedule the perfect installation crew. An in-home evaluation helps the home comfort advisors identify a family’s comfort needs, the layout of the home, possible inefficiencies that may affect the new system, and any special expectations to custom tailor a system that is just right. Each estimate is designed around a homeowner’s personal needs, so no two estimates are the same. Bill Howe Heating & Air Conditioning offers a variety of financing options to help homeowners purchase the system they want and offers some of the best warranties and guarantees in San Diego. Every home evaluation is free and lasts approximately 1 to 2 hours so every homeowner can rest assured all of their needs have been taken into consideration. If you are thinking of a new AC package system, call 1-800 Bill Howe (245-5469) today and schedule your free in-home evaluation by one of Bill Howe Heating & Air Conditioning experts.